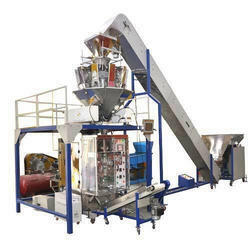 ALL PACK Engineers is leading pouch packing machine manufacturer, suppliers and exporter in India. We are also dealer of pouch packing machine to international World. We Are pouch packing machine manufacturer of various type of packaging machine for various application such as Milk Pouch Packing Machine, Automatic Water Pouch Packing Machine, Drinking Water Pouch Packing Machine, collar type pouch packing machine, semi pneumatic pouch packing machine, automatic pouch packing machine, fully automatic pouch packing machine, Liquid Pouch Filling Machine, FFS Pouch Packing Machine. Pouch Packing Machines used in multiple application of Packaging such as Water Pouch Packing Machine, Powder Packing Machine, Food Packing Machine, Kurkure Packing Machines and Namkeen Packing Machines. 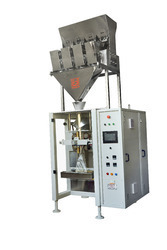 Pouch Length 2"-4", 6"-8", 4"-6"
We are offering Automatic Powder Pouch Packing Machine to our clients.Automatic Powder Pouch Packing Machine is used to pack the pouch for powder and granules. For packaging all types of powder in to pouches. 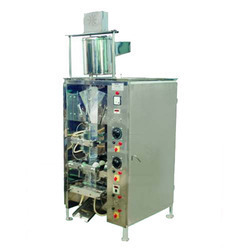 Automatic tea pouch packing is suitable for filling tea in pouch with 10 gm to 50 gm. we are the leading manufacturer for tea pouch packing machine.We use a wide range of Automatic Tea Pouch Packing Machine that is known for its tensile and flexible strength, dimensional stability long service life. These are made for heat-sealable single chamber round, square or rectangular filter bags without string and tag and thus play an active role in the process from bag-making, measuring, filling, sealing, etc. Our clients can avail these tea packaging machinery in various specifications for different applications at industry leading prices. We are providing cheap and best pouch packing machine for butter milk with one year guaranty. Pouch Length 2"-4", 2"-4", 4"-6", 4"-6"
We are offering Drinking Water Pouch Packing Machine to our clients. 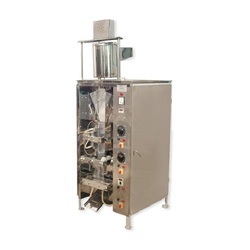 Pouch Length 6"-8", 4"-6", 8, 2"-4"
Pouch Length 4"-6", 2"-4", 2"-4", 4"-6"
All Pack Engineers is one of the leading preparers and s of FFS Liquid Filling Machine and Pouch Packing Machines. Our wide product line includes Liquid Pouch filling & Packaging Machines, Powder Pouch Filling & Packaging Machines, Granule Pouch Filling & Packaging Machine, Paste Packaging Machines, Fully Automatic Snacks Filling Machine, Fully Automatic and Semi Automatic Bottle Filling Machine and Industrial Conveyors. 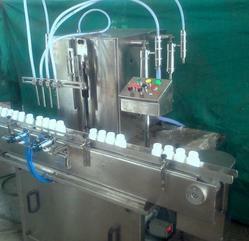 ffs liquid filling machine is mostly use in food industries, pastisides , oil , pharma etc . Pouch Length 4"-6", 6"-8", 2"-4"
capacity: 2000 pouch per hour. 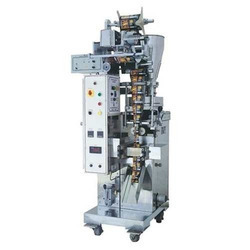 sealing machine fill :50ml. to 350ml. Pouch Length 8"-10", 4"-6", 4, 6"-8"
We are offering Fully Automatic Milk Pouch Packing Machine to our clients. We are offering Fully Automatic Pouch Packing Machine to our clients. Pouch Length 6"-8", 2"-4", 4"-6"
We are offering Mineral Water Pouch Packing Machine to our clients. Machine Speed: 2000 - 2200 pouch per hour. We are the manufacturer for Automatic Form Fill and Seal machine for turmeric powder packing with automatic batch coding machine. 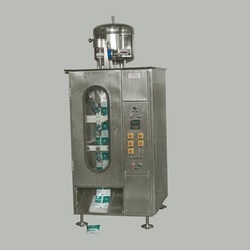 Pouch Length 2"-4", 4"-6", 2"-4", 4"-6"
We are offering Buttermilk Pouch Packing Machine to our clients.We are manufacturing and exporting a wide range of packaging machines, automatic/semi-automatic forming, filling, sealing and capping machines. Manufactured using high grade raw materials and utilizing innovative production techniques. 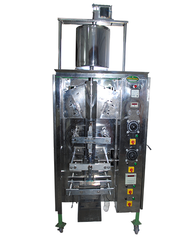 We are offering Ghee Pouch Packing Machine to our clients. Our highly skilled industry experts are engaged in manufacturing a high grade Ghee Pouch Packing Machine that is specially used for ghee packing in an efficient manner. Machine is available in diverse specifications to completely satisfy application requirements accordingly. Furthermore, topmost quality components are used as per the market prevalent standards in our well developed manufacturing unit for the manufacturing process. We are offering Milk Pouch Packing Machine to our clients.Our firm is offering Milk Pouch Packing Machine which is widely used to pack liquids of low and high viscosity such as Milk, Pure Water, Juice, Beverages, Soya Sauce, Vinegar And Wine. Adjustable filling range and speed Product contact points are of SS 304/ SS 316 matching to cGMP standards. Optional Stirrer attachment provided for products. Drip free filling nozzle design Self priming Changeable bottom nozzle tips etc. We offer automatic Water Pouch Filling Machines. Water pouch filling machines is very commonly use in packaged drinking water industries. 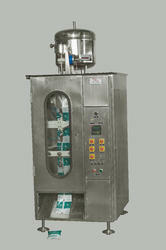 Water pouch filling machines is run on 1/2 hp single phase power supply.Easy to operate and maintain the machine. We offer juice plant. 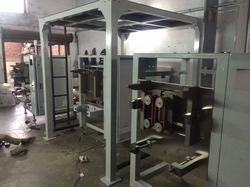 juice plant is depend upon customer requirement of per hour juice capacity. juice plant is use in synthetic juice , soft drink etc. industries. Pouch Length 2"-4", 4"-6", 6"-8", 6"-8", 2"-4", 4"-6"
Pouch Packing Machine For Water, Juice, Milk offered adopts advanced PLC automatic control technology with main components from ALL Pack. We are manufacturing and exporting a wide range of packaging machines, automatic/semi-automatic forming, filling, sealing and capping machines. Manufactured using high grade raw materials and utilizing innovative production techniques. We are leading manufacturer for Juice Pouch Packing Machine. We are assisted by our truly skilled and seasoned professionals in manufacturing, distributing and supplying a precision-engineered range of Pepcee Pouch Packing Machine. The offered pouch packing machine is mostly used in food or beverage industries and is also used for few products other than consumables. Our provided pouch packing machine possesses ability to pack continuously for hours without making errors. 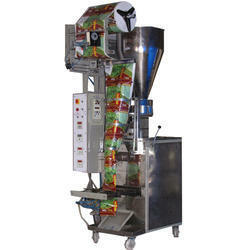 Moreover, this pouch packing machine is designed to use the installed packaging material in a judicious way. Pouch Length 4"-6", 2"-4", 4"-6", 6, 2"-4"
With the support of our adroit professionals, we provide our clients a high quality Ice Lolly Packing Machine. The offered packing machine is used for weighing and packaging the accurate quantity. 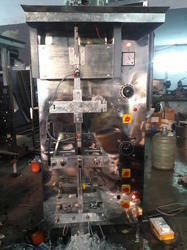 This packing machine is designed and manufactured using stainless steel and is appreciated for features like efficiency, trouble free functioning, precise weighing capability and easy operation. 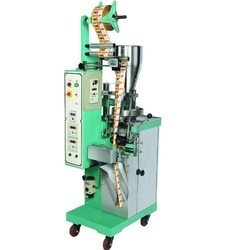 The packing machine ensure faultless filling of weight ranging between 50gm - 2kg. Filling is controlled through an electronic controller. we offer Pepsi Cola Pouch Packing Machine. Pepsi Cola Pouch Packing Machine is run on 1/2 hp single phase. you can use this machine is in home also. 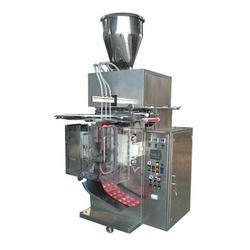 Pepsi Cola Pouch Packing Machine is run on gravimetric sensor base filling system. Pepsi Cola Pouch Packing Machine is also know as chusky packing machine or ice lolly packing machine or pepcee cola pouch packing machine. Pouch Packing Machine offered comes backed by CE approved automatic metering pump for 99% working accuracy. We offer automatic ghee pouch packing machine. 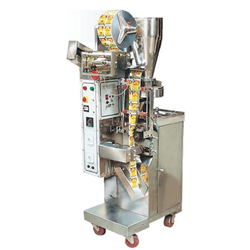 Automatic ghee pouch packing machine is base on geared motor filling principal. 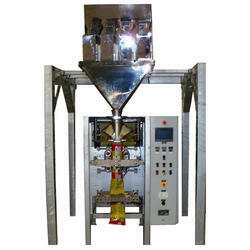 Automatic ghee pouch packing machine is very accurate filling system. 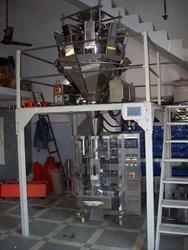 Automatic ghee pouch packing machine speed is 1200 pouch per hour and it's fill 200gm to 1kg ghee. we offer milk or water pouch packing machine. milk or water pouch packing machine is run on gravimetric timer base principal. Pouch Length 4"-6", 6"-8", 2"-4", 4"-6", 6"-8", 2"-4"
We are the leading manufacturer for Automatic Granules Pouch Packing Machine. We are manufacturing and exporting a wide range of packaging machines, automatic/semi-automatic forming, filling, sealing and capping machines. Manufactured using high grade raw materials and utilizing innovative production techniques. All Pack Engineers are expert manufacturer and supplier of a wide range of Water Treatment & Purification Plants, Dhana Dal Packing Machine ,Our products are enabled with best features & qualities that make them superior than other available products in the market. We are offering Automatic Multi Head Weigh Metric Pouch Packing Machine to our clients. We are offering Multihead Weighmetric Pouch Packing Machine to our clients. 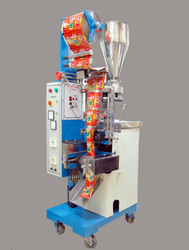 We are offering Automatic Form Fill Seal Pouch Packing Machine to our clients. We are offering Automatic Paste Pouch Packing Machine to our clients. We are offering Semi Pneumatic VFFS Machine with Auger Filler to our clients. We are offering Vertical Form Fill and Seal Machine to our clients. 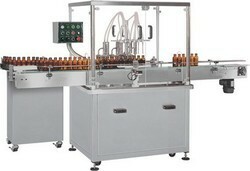 We are providing Automatic 4 head liquid filling machine for filling oil in bottles. we can fill edible oil, ghee, machine oil etc. 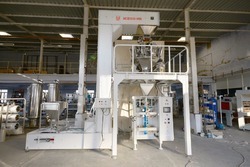 We are offering Mutihead VFFS Machine to our clients. We are offering VFFS Machine to our clients.